In the past two months, I’ve had a good deal of Malaysian food, having gorged myself over a four-day weekend in Kuala Lumpur and also trying two “Malaysian” restaurants in Hong Kong. The reason I put Malaysian in quote marks is that while one of them has turned out to be the best in HK, the other fell short by a long way. It’s always been notoriously difficult to find good Malaysian (all right, or Singaporean) food in Hong Kong. It makes sense if you think about it. In Malaysia, food hawkers can put a couple of generations through university in England just making one kind of noodles. They can take years perfecting just the soup stock. There, “coffee shops” or eateries survive by renting out stall space to several such chefs; the owner normally sells the drinks and each of the stall owners take care of their own business so the restaurant can offer some variety. Often times, there will be one star of the show while the others are just supporting cast. 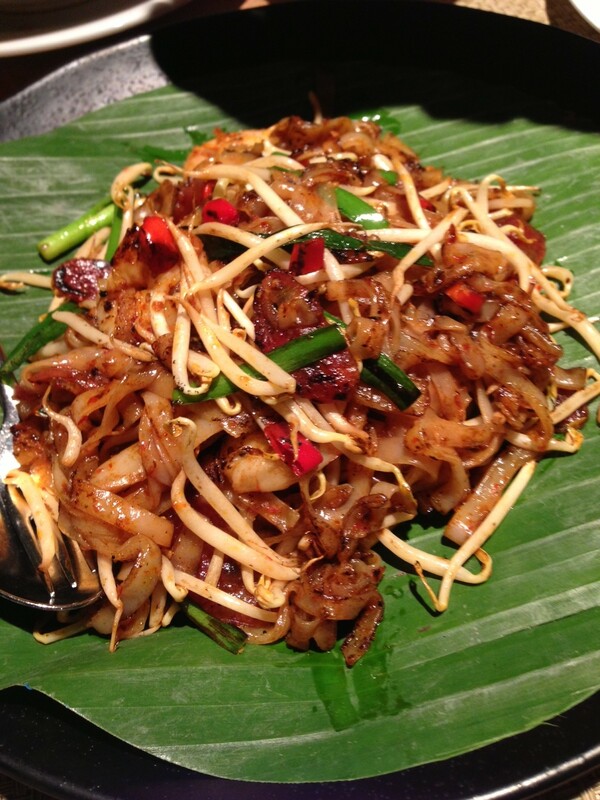 Which is why when tourists go to KL, it’s often they don’t get to taste the best because the best prawn noodle may be at one end of town and the best char kway teow at the other. Having said that, however, the food court Hutong in Lot 10 in Bukit Bintang seems to have worked out a good way to centre some of the best by inviting them to open stalls within the food court – and also exists as the only mall in the whole country allowed to serve pork, which helps preserve authenticity. The fact that the mall sits smack in the middle of the busiest of the city only adds to its appeal. Over a three-day weekend, you can probably just taste some of the best the city can offer just by eating here. Hence my tip: a lot of people tend to be drawn to hotels near the twin towers. If you’re a foodie, the Bukit Bintang area – in particular, around Grand Millenium and Pavilion mall ,is where you should be. My favourite is a decent little place called Piccolo that offers really decent rates. OK, back to Hong Kong. On the recommendation of friends, i had discovered Cafe Malacca tucked away inside Trader’s Hotel in Western a few months ago. However, it seems that recently word has spread about this Malaysian/Singaporean hotel coffee shop that seems to be drawing larger crowds each time I go. Some dishes chef Sunny Tse hasn’t quite mastered. 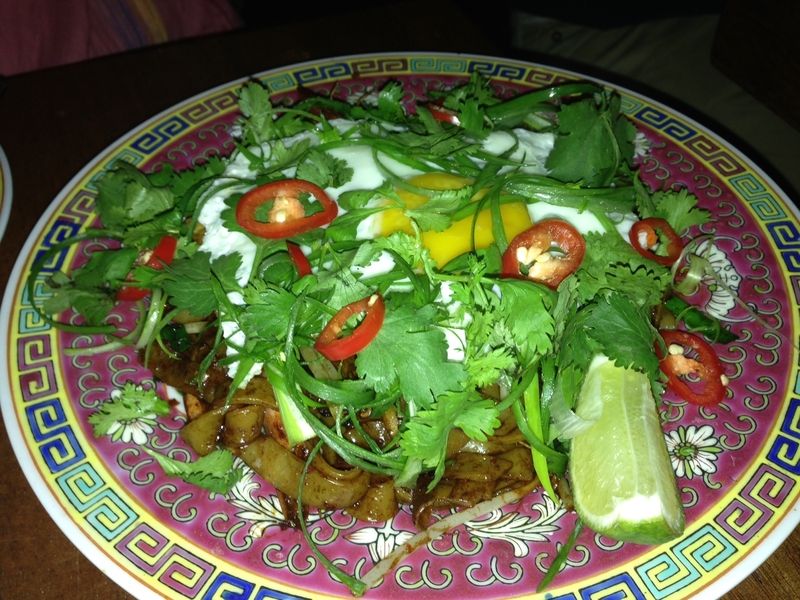 The mee goreng, for instance, was too sweet and the Hainanese chicken rice isn’t spectacular. But what he has got right far surpasses the above. His rojak is a refreshing reminder of Malaysia. I wish he would use the real prawn fritters instead of the dough sticks but I’m willing to forgive him anything for a plate of his char kway teow! It’s as close as it can get without the cockles and miraculously retains the authentic smoky taste that normally comes with the charcoal stoves. He’s even managed to source plumper bean sprouts than the usual stringy Hong Kong stuff. And the hidden dessert (you have to ask for it), the durian pudding is simply to die for! Now the other place, Fatty Crab, I went to full of hope. I should have known better the minute i read “Malaysian-inspired” and that it had its roots in NYC even though the founder did spend time in Malaysia. Nothing was memorable but the noise and the cramped space. Even the much touted curry crab was a disappointment with the curry sauce being too sour. 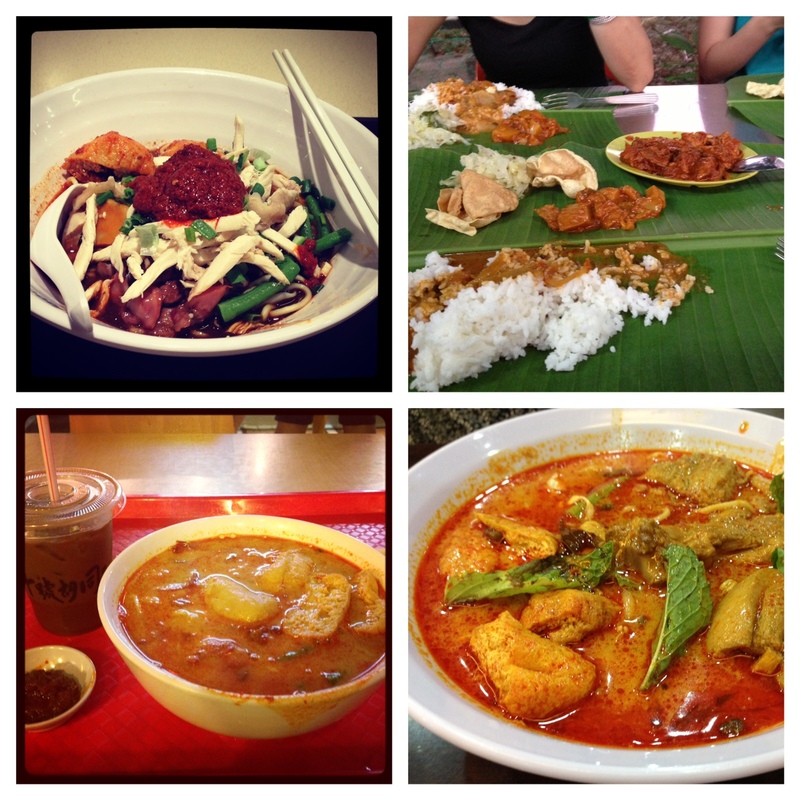 No prizes for guessing which place i will be going to the next time I crave Malaysian. Incidentally, Cafe Malacca’s curry crab is quite lusciously saucy but you have to order in advance! OMG, the pain! The agony! Wrote this post before and it completely disappeared. So back to the drawing board. I hate you, WP! 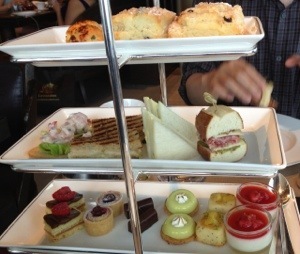 Despite Hong Kong’s incessant need to diet, high teas are really popular on this city. And, as far as great teas go, the Grand Hyatt’s Tiffin Lounge used to have the best one in town. That’s right, “used to”. For some reason best known to themselves, they moved the whole dang tea buffet down to the coffee shop in the form of what can only be described as a pre-dinner dinner buffet. Replacing it at Tiffin is one of those odious two or three-tray dainty affairs that are completely ho-hum. I know, I know, buffets can be wasteful but it’s not like they did away with a buffet completely. In fact, they supersized it, I think. I don’t know about others but I really don’t want a full-blown buffet for tea; nor do I want to have my dinner at 3pm, but I do want a choice of enough sweets and savouries. That was the great thing about Tiffin; there were enough to keep most people happy. So since then, friends and I have been trying to find a worthy replacement. We went to Island Shang’s Cafe Too, which went a little Too far when they presented us with our bill 20 mins before the buffet ended and suggested we take a hike. So yesterday, we went to Cafe Grey in Upper House, after reading positive reviews. Well, it’s great for the view but the three-tray set for two was pretty forgettable. If I hadn’t taken a photo, I would have forgotten what I ate: except for the scones! It wasn’t that they were particular scrumptious but that they were big even by normal standards, but really looked incongruously so with the otherwise dainty set. I’m sure there are places with decent tea buffets and I shall have to make it a point to seek them out. Until then, the tea buffet at Conrad’s Lobby Bar (which also does a great curry lunch buffet) gets my vote. It’s a modest buffet and they don’t put out a huge amount but there’s sushi, samosas, chicken wings, quiches, cakes – and don’t forget the waffles! Just enough to hit the right spot. Gluttony rules in Kuala Lumpur! 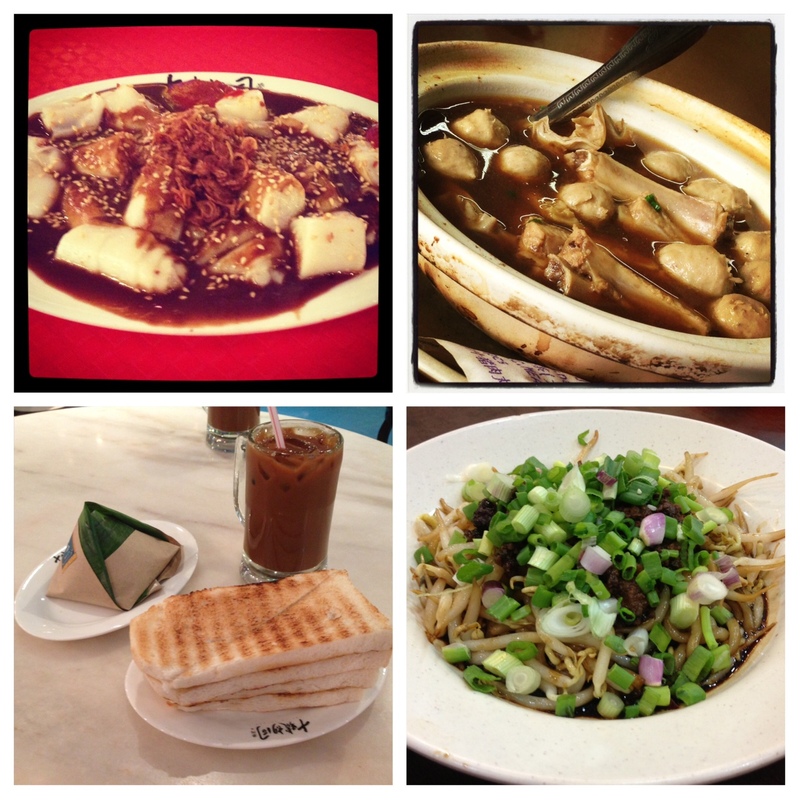 Just came back from a long weekend in Kuala Lumpur and it is always so good to be there eating my way through the city. This trip was even better because, having just regained my Silver Marco Polo club status, I was upgraded for both legs of the journey. As usual, my preferred hotel was Piccolo Hotel smack in the middle of Bukit Bintang. It’s really no frills but clean and comfortable enough. 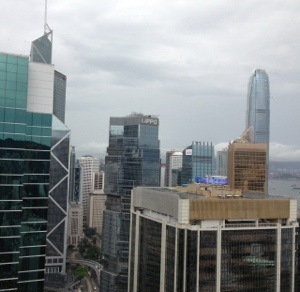 At HK$600+ a night, it’s great value for money. You can walk almost to all the best food places in the area – and there are a lot of them. Piccolo is also next to just the best food court in the whole world: Lot 10 Hutong. When billionaire Francis Yeoh replanned and upgraded the formerly seedy street, he did the one thing that all Chinese in Malaysia love him for: he managed to get pork into a food court (the only in the country) and then he went round getting famous food stall owners to open a branch in Hutong. This is wonderful news for tourists because not only can they taste the food in all its authenticity (you simply must have pork! ), they don’t have to seek out all these places on their own. It’s not easy when you don’t have friends there. So there’s the superb Malaysian coffee, beef balls, pork noodles, char kway teow, nasi lemak, charcoal fry noodles… you could easily have 10 or more meals there! But it’s not all the Bukit Bintang area offers up of course. Over at Pavilion, the Ipoh curry noodles and the nasi lemak are pretty good. And, about 10 mins on foor will take you to Medan Imbi where you can have bak kut teh, great fried noodles (at night) and even durians! This is such a foodie country. On this trip I had a gweilo friend with me and even though he professed to eat like a labrador, I think he secretly stopped eating for a week after we came back. We didn;t venture that far, no Pandamaran seafood this time but we did mosey down to Jalan Alor to have Wong Ah Wah’s grilled stingray and balitong, which my friend actually loved! Decided to give him an extra kick by taking him for banana leaf Indian curry rice in Jalan Gasing. We all ate with our hands and he got into the spirit of things very quickly. People often ask why i don’t go to Singapore or Bangkok for food. With all this (and cheaper) in Malaysia, are you kidding me?! It seems apt that I should start this blog with a first posting on Armani Nobu in Milan. So, after days of extreme bloodletting in the shops (and too much pasta), I decided to indulge at Nobu on the eve of my departure. It helps, of course, that the restaurant is just around the corner from the hotel. Admittedly, it seems a bit silly for the hotel not to have an indoor connection to the restaurant which is essentially in the same building. The restaurant is surprisingly no frills. It’s comfortable enough but nothing that could be accused of being overly opulent. Rather than figure out what dishes to order, I chose the omakase menu. I had to settle for the 100 euros set since the 140 euros one was not available. I’m glad I did though, the six-course meal was more than enough for one and was a pretty good deal. I recently spend about $1600 on a wagyu dinner at Inakaya; I wouldn’t do it again. 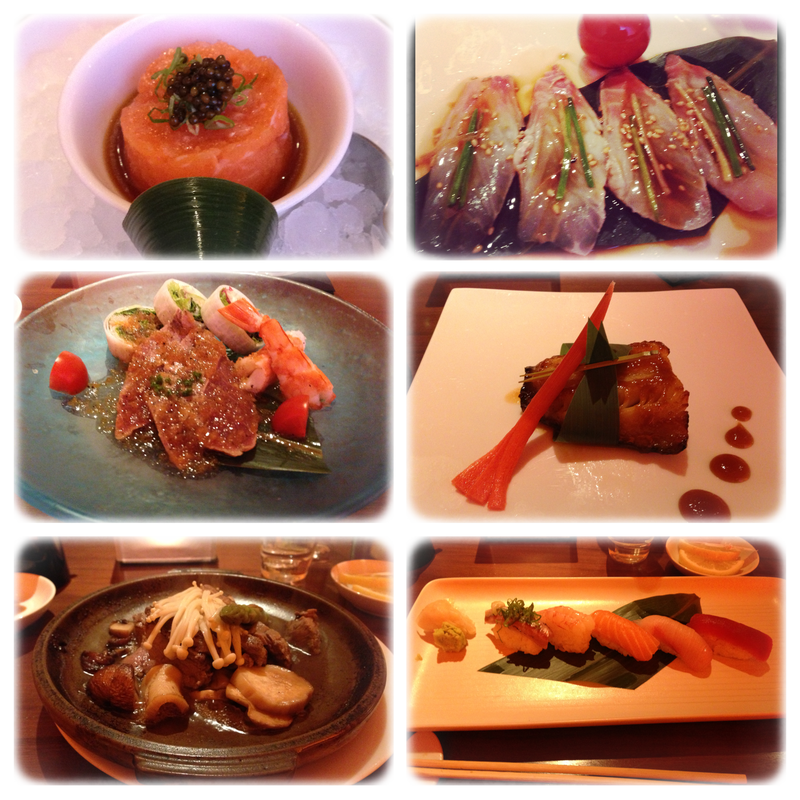 It seems ironic that I have never eaten at the Nobu in Hong Kong. Actually, given the magazines I do, it seems ironic that I haven’t been invited by the Intercon, oh well. I hate looking at Japanese menus; it just takes too much brainpower to order so many minuscule dishes, so of course I opted for the omakase menu. The 100€ or the 140€? I debated, but the choice was already made for me: the 140€ set was not available. I was glad cos the cheaper set was quite substantial. The salmon tartare was delicious. The freshly chopped fish sat on a base sauce of expertly mixed wasabi and soy sauce that perfectly balanced the sweetness of the salmon. I had no idea that the simple four slices of yellowtail sashimi would transport me to sashimi heaven. The fish was sliced to a solid thickness giving it an almost crunchy texture when chewed, but it was the sesame and ginger sauce that sealed the deal for me. My first disappointment of the night was the vegetables taco that came as part of the sashimi salad. The wrap was dry and the lettuce slightly bitter, yeuch. The tuna slices and the prawn were much better, although not spectacular. The grilled cod was tender and succulent, but not a lot different from those at any upscale Japanese restaurant in HK, unlike the hearty beef teppanyaki that came after. The beef sirloin was perfectly done as was the accompanying variety of mushrooms that came with. All this was topped off with a dessert of fresh fruits, green tea gelato (yum!) and warm chocolate cake. Together with a large sparkling water and yomeshu, my bill came up to 117€, which I thought was pretty decent. It wasn’t the pretentious molecular meal I’d expected. Just a very wholesome traditional Japanese meal that hit the right spot.